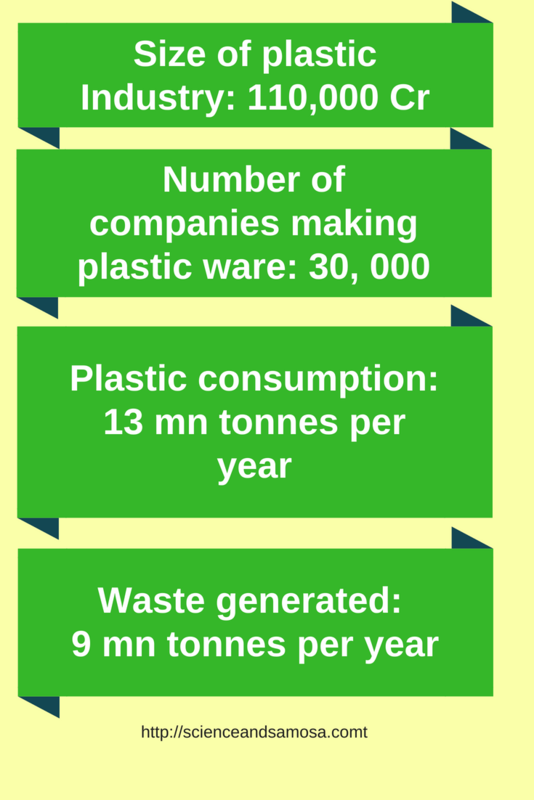 According to Central Pollution Control Board, India generates 25,940 tonnes of plastic waste every day, and out of that 40% remains uncollected. Among cities, Delhi, Chennai, Kolkata, Mumbai and Bengaluru tops the list. Last year in a clean up drive that happened across 12 states lying close to Himalayan ecosystem, volunteers picked up about four lakh pieces of plastic waste in a two-hour operation. Right now in India we are battling plastic pollution with all its strength, but the menace is deep rooted. Truth is Plastic pollution is one of the biggest reasons behind the decline we see in marinelife and increase in land waste and waterways. If we just look at how big this plastic industry is in India, we can understand we are nowhere near solving this menace. A research study carried out stated that 87% Indians are worried about non recyclable waste, but are not actively taking any steps to curb it. Plastic ban does not mean just polythene bags or water bottles. Many of us are not even aware of the fact that microbeads, used in detergents and cosmetics, are a major environmental problem, as they can leach into oceans and are eaten by fish. We will have to give away packaging including milk covers, food wrappers and even sanitary napkins. Scientists, entrepreneurs and engineers are now coming up with innovative solutions to reduce plastic pollution. Some are designing methods for recycling plastics, while others are setting units for developing products that are safe and biodegradeable. Unilever has promised that they will switch to 100% recyclable packaging by 2025. Hope many more FMCGs will follow the path.